Hip Hops: Beware! The Big Babysitter Is Coming! Beware! The Big Babysitter Is Coming! 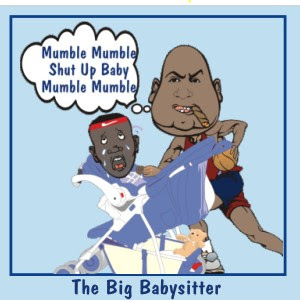 The Big Babysitter (Shaquille O'Neil) is in DC right now, getting ready to be on Monday Night Raw tonight. "Too bad for Haywood, too bad for McGee...cuz I'm comin'"